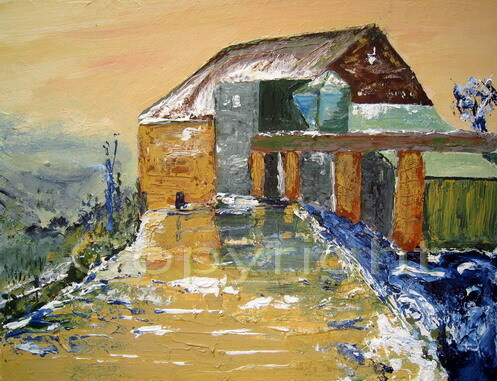 One of my early works using palette knives. Jewellery designer New York - my fav. (and by a mile) was Clapton Mill in winter.......beautifully done.